There is a huge amount of things to find out when looking to emigrate to Australia. 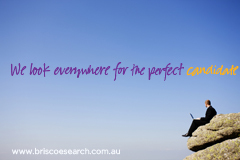 Briscoe Search & Consulting have put together 8 Top Tips for International Candidates looking to relocate along with the relevant websites that can be researched. There is a wealth of information available about the appropriate Visa. Click here for the Immigration Department website. Do this first. Everyone who receives any income in Australia needs a Tax File Number (TFN). Income includes wages or salary from a job, money earned from investments, and government payments. Click here for the Australian Taxation Office website. The Australian Government provides help with medical expenses through a scheme called Medicare. You may be eligible to register for Medicare and gain immediate access to health care services and programmes such as free public hospital care, help with the cost of out-of-hospital care, and subsidised medicines. Click here for the Medicare website. It is advisable to open a bank account within six weeks of your arrival, as you usually need only your passport as identification. Some banks will allow you to open an account via an online application before your arrival. After six weeks you will need additional identification to open an account, and you may have difficulty if you don’t have many documents. Advise your bank of your Tax File Number (TFN) to avoid higher rates of taxation on interest earned. Help with job seeking, social security payments and other assistance is provided through the government agency called Centrelink. Newly arrived residents can register with Centrelink to get help with looking for work, having overseas skills recognised, and accessing relevant courses. Centrelink also has an application form for Tax File Numbers and can assist you to lodge your application with the Tax Office, so that access to any payments is not delayed. Click here for the Centrelink website. If you have children, you may be eligible for government-funded Family Assistance payments to help with the cost of raising them. If you signed a Health Undertaking (Form 815) at the Department of Immigration and Multicultural Affairs (DIMA) overseas post, you must ring the Health Undertaking Service. If you signed a TB (Tuberculosis) Undertaking, you must contact this service within 4 weeks of your arrival in Australia. The Health Undertaking Service will advise you of the nearest hospital where you can undergo the tests. Click here for the Health Department’s information page. Under Australian law, children between the ages of 6 and 15 years must attend school. You should enrol your children in a school as soon as possible. To enrol your child in a school, contact the school by telephone or in person. You will need to take your visa or entry to Australia documents, proof of your child’s date of birth, and any papers including school reports relating to their previous education. Click here for the Education Department of Western Australia website. If you are a permanent resident visa holder and have a current driver’s licence from another country, in English or with an official translation, you are allowed to drive for your first three months after arrival. After that, if you want to drive, you will need to have the appropriate Australian driver’s licence. To get one, you usually need to pass a knowledge test, a practical driving test, and an eyesight test. Click here for the WA Department of Transport website.